Fall seems to be whizzing by . . . . . Winter is coming. Are you ready? 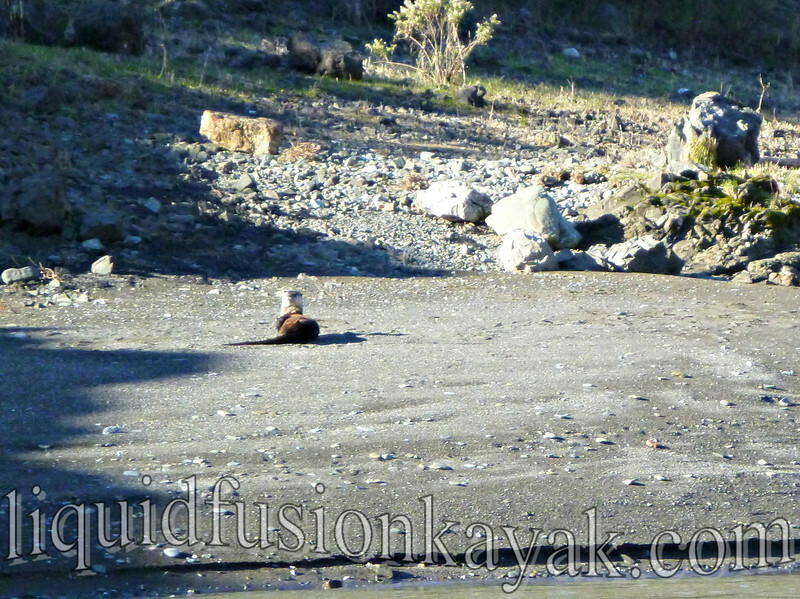 A river otter basks in the sun on a winter day on the Eel River. Winter is probably our favorite season of the year - surfing, whitewater kayaking, mushroom hunting, crabbing, and whale watching. 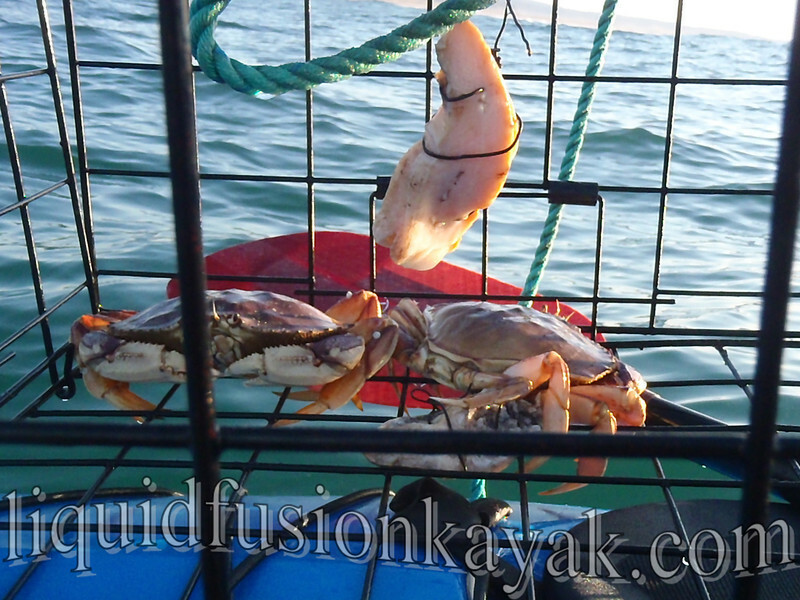 Kayak crabbing on the Mendocino Coast of California. We are often asked - what is winter like on the Mendocino Coast? The weather is quite temperate and we often get some of our best weather in the winter. The challenge is that the weather is unpredictable (seems to be the case everywhere these days). 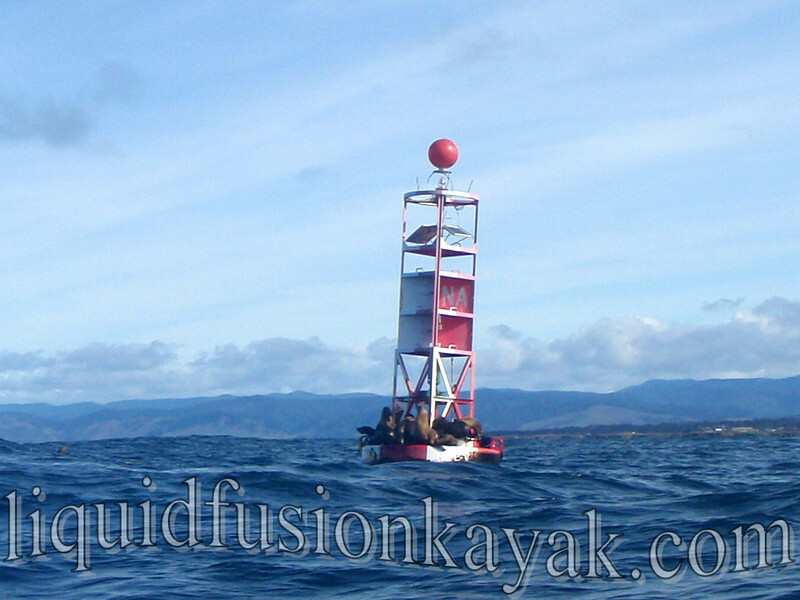 Sea lions are plentiful in the winter on the Mendocino Coast. Winter storms are exciting and beautiful but don't last for days on end or all winter long. Seeing huge waves breaking through the Noyo Bay is awe-inspiring and hiking in the redwood forest after a storm or during a light rain is magical. We typically get a cold snap or two with below freezing temperatures at night but it usually warms up into the 50's and 60's during the day. 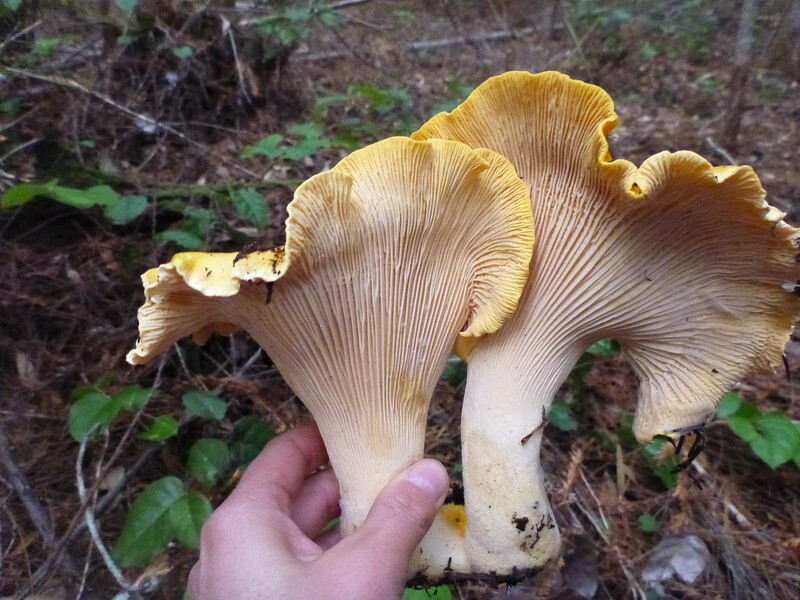 Of course a little rain makes the chanterelles grow. Winter Paddling - we have a variety of venues that we use for teaching to accommodate our students' interests and skills and the conditions. For those that have visited the Mendocino Coast during the summer, you will be pleasantly surprised at how quiet and peaceful it is during the winter. We also aren't operating tours on a daily basis. If you want to come paddle with us, your best bet is to check out our calendar and/or shoot us an email inquiry with your interests and dates. 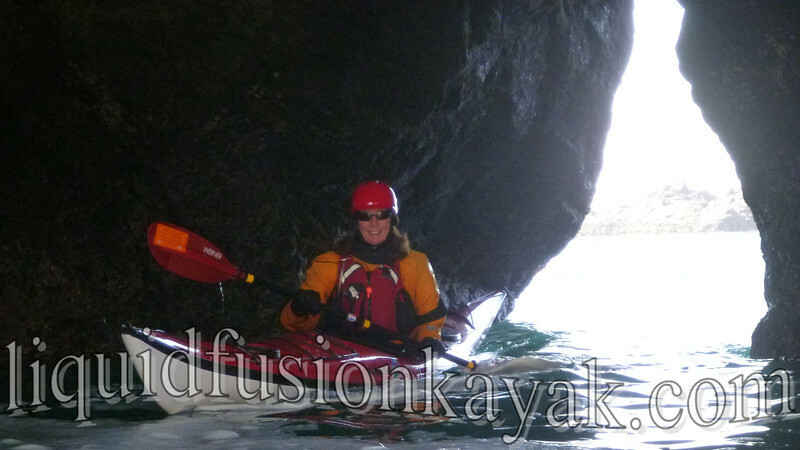 Sea Kayaking- A week of intensive sea kayak instruction - Ocean Camp Northern California instructed by Jeff and Cate of LFK and Ryan Rushton of Geneva Kayak Center followed by the Golden Gate Sea Kayak Symposium. Whitewater River - New for the winter of 2013/2014 is LFK's Whitewater - "Go with the Flow" email list. When the Eel River and Rancheria Creek are flowing, we will be offering guided whitewater river trips. If you are interested in being on a guided whitewater kayak trip with us, please contact us to be added to our "Go with the Flow" email list. We will send out email updates of river trips and whitewater kayaking classes when the rivers are flowing. If you are interested in Whitewater River Kayaking, but your skills are a little rusty or you haven't taken a whitewater class before. 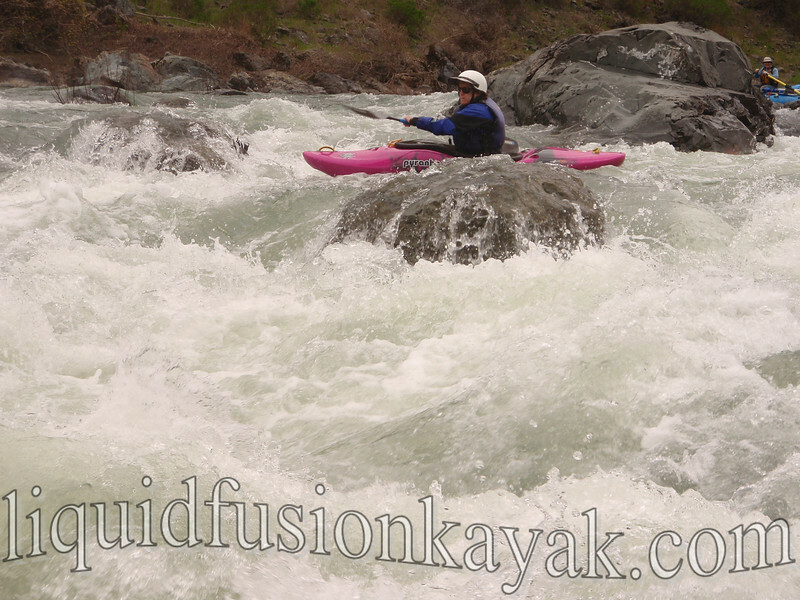 Check out our calendar for whitewater classes and/or contact us for recommendations where to start. Surf Kayaking - Dial in your surf skills with a private lesson or rally your friends and let's schedule a class or surf safari. Also if you have a chance this weekend, go out and cheer on the surf kayakers in the Davenport Paddle Surf Classic. 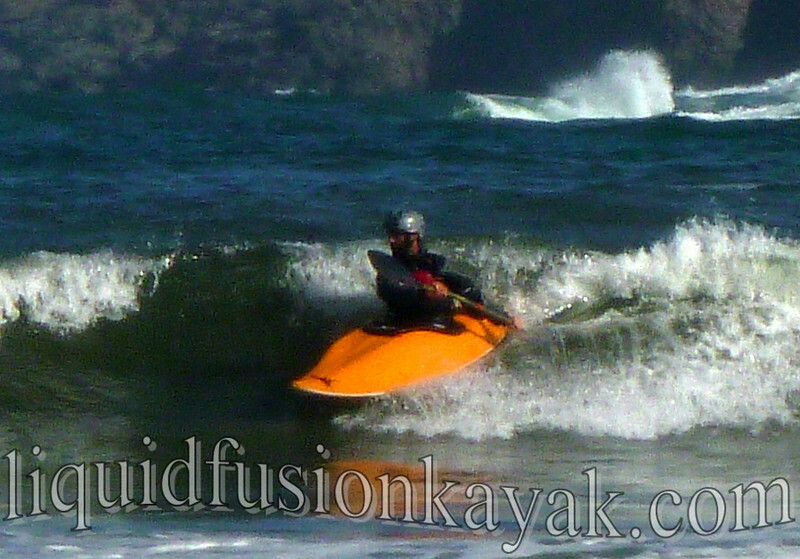 SEA, RIVER, SURF - Wanna do it all with us - join us on our 3 day Mendocino Whitewater Surf Safari. 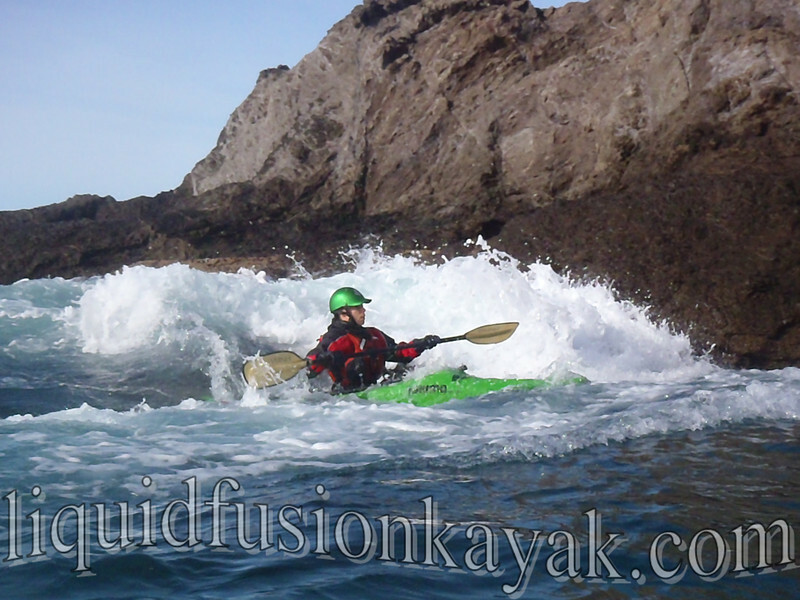 This is our triffecta of short boat funness - surfing, whitewater ocean rock gardening, and whitewater river kayaking. LFK's Up-Coming Events: If you don't see an event on our calendar that you would like, contact us about scheduling a private lesson or a custom trip/class. 11/8-11/11 Veteran's Day Weekend - Advanced Sea Kayak Rock Gardening 2-4 days of rock garden and surf zone instruction and play for the seasoned paddler. 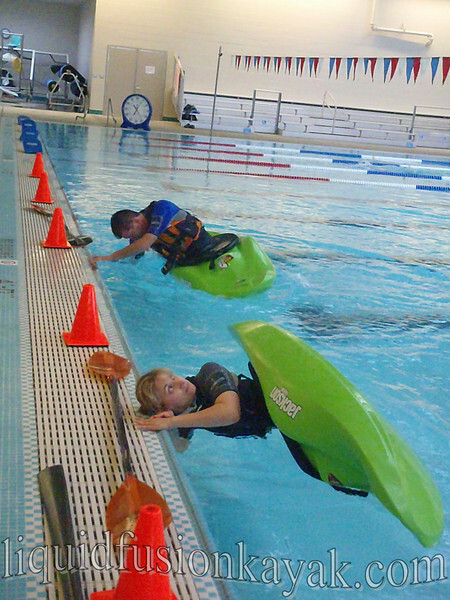 12/14-12/15 Whitewater Kayaking II - Take your roll and basic river skills into whitewater (perfect class for sea kayakers looking to get into whitewater). 12/27-12/29 Holiday Whitewater N Surf Safari - Join us for the triffecta of short boat fun in Mendocino County - our goal is a day of surfing, a day of ocean rock gardening, and a day whitewater river kayaking. 1/18-1/20 Precision River Running - Perfect your eddy turns, surf river waves, and boof your way down the river with precision and style. Can you see why we are excited for winter? We hope to see you on the water!! !